At the start of another week, we find ourselves already passed the middle of September. There were a lot of over cast days during this past week which is good for game viewing. 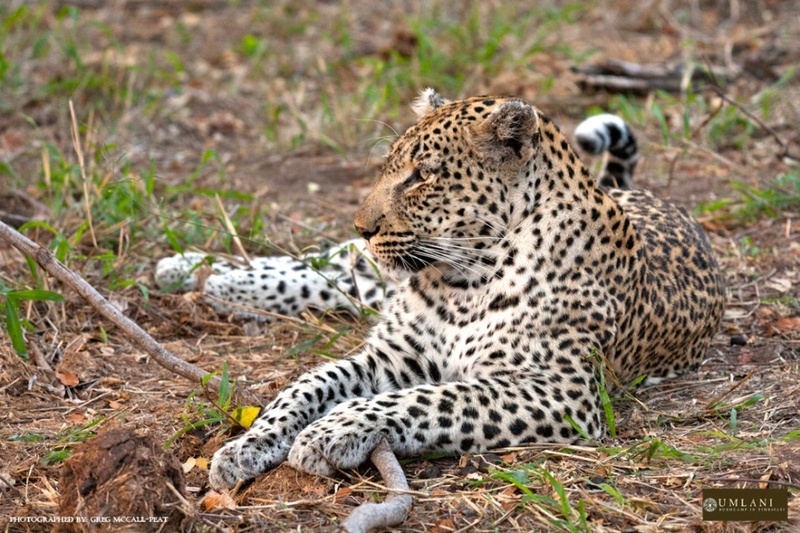 It was a week dominated by sightings of the leopards of Umlani. We saw almost all our residents. 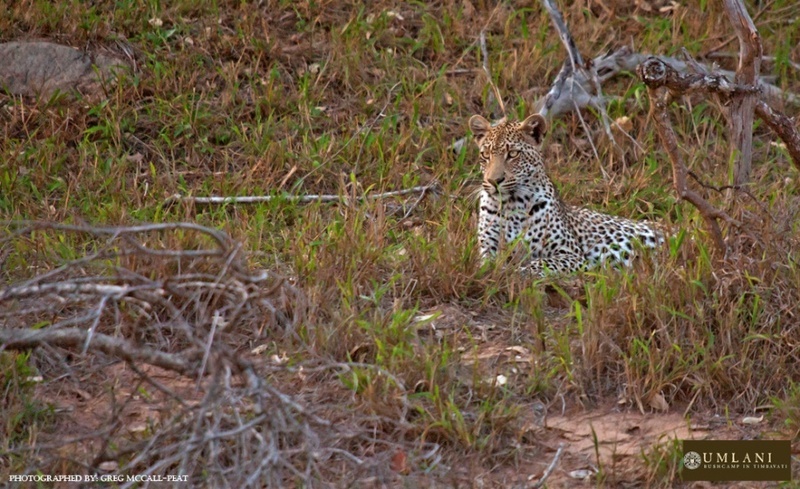 In this highlights blog I will be sharing mainly the photos we got of these beautiful big cats. 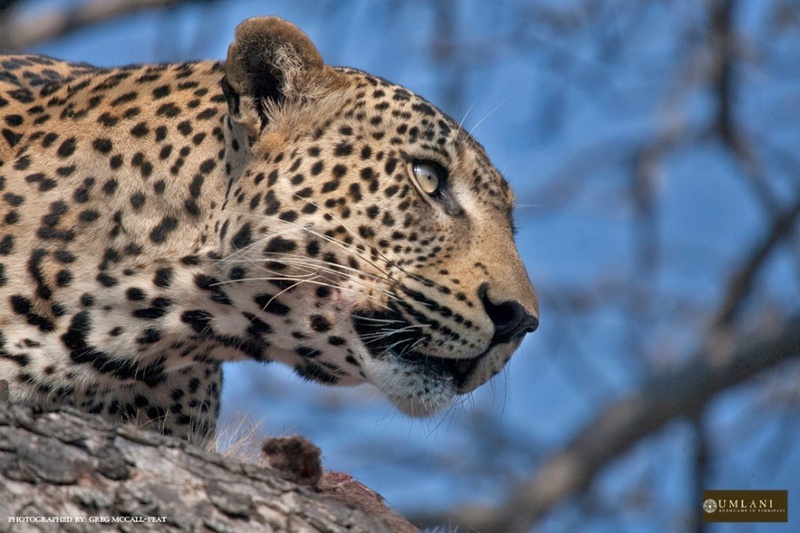 Nstogwaan male takes a break from feeding on a warthog he killed to look at an approaching hyena. 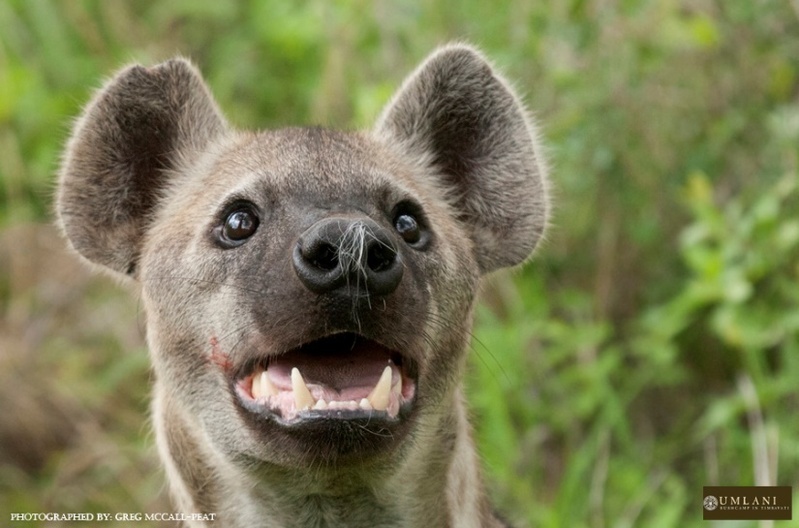 Always looking for scraps, this hyena stares longingly at the leopard in the tree. 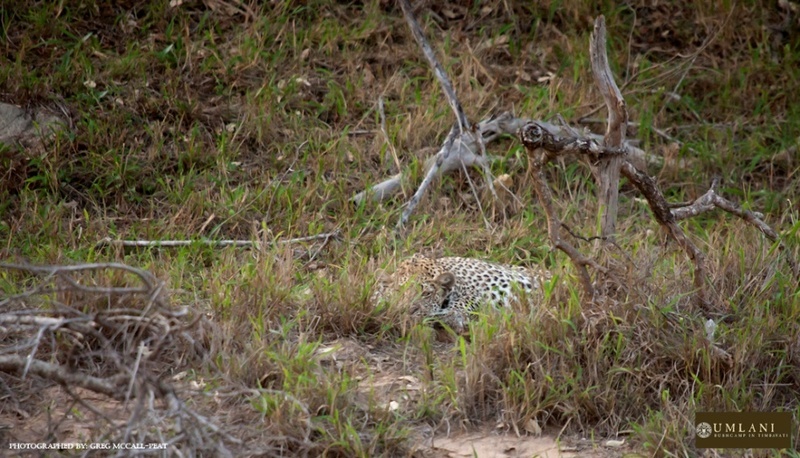 It was amazing to see how Nstogwaan repositioned his kill only to lie down to take a nap nearby; he really just wanted to keep an eye on it. Coming down, he showed no fear of the lingering hyenas; he really is growing in confidence. 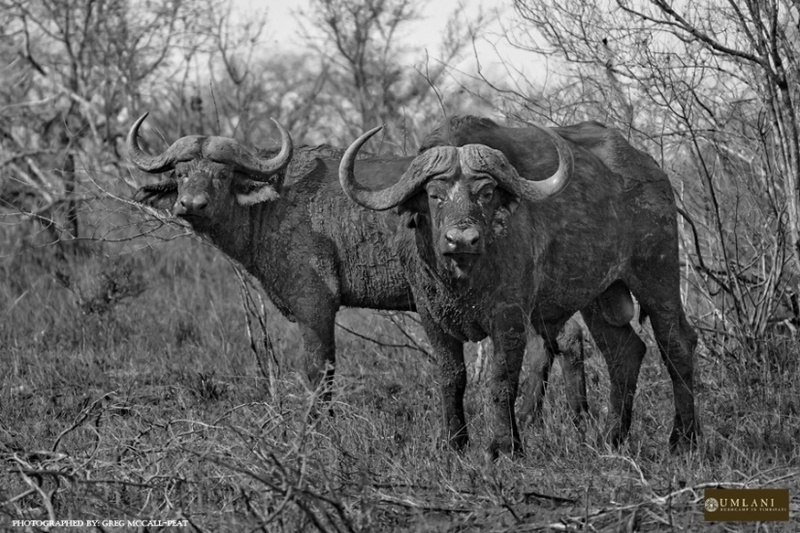 Whilst watching the male leopard a small herd of buffalo bulls walked into the sighting. 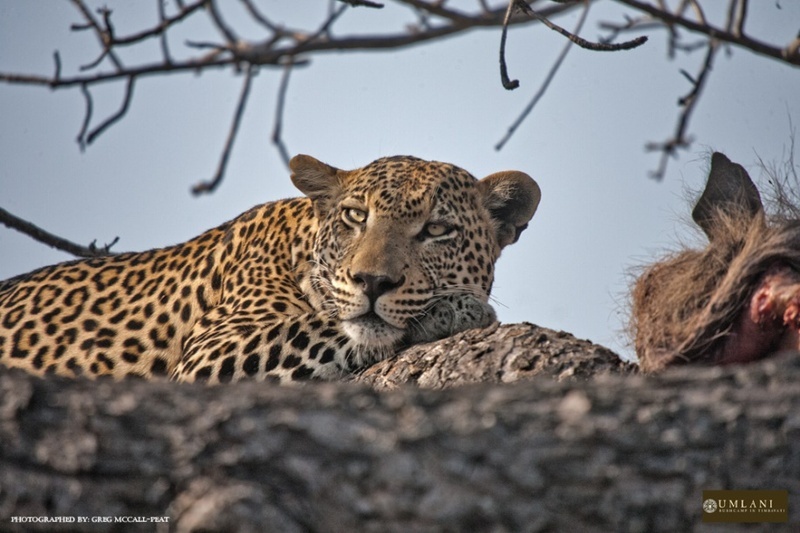 Neither party paid too much attention to the other with just the odd look from the buffalo in the leopard’s direction. 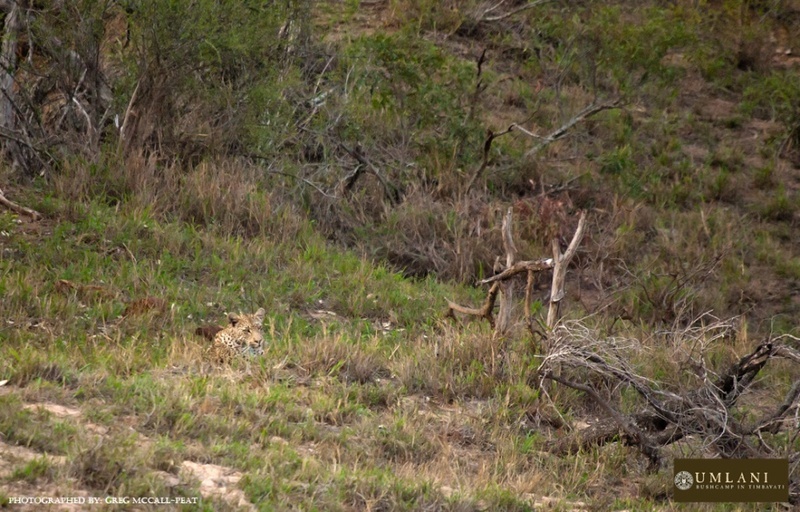 Not an easy spot, but we located Marula’s young male cub a few days ago not too far from the lodge. It was a great relief to see him as we hadn’t seen him in a while and were beginning to fear the worst as Marula seems to be acting like she doesn’t have a cub anymore. He isn’t the most relaxed leopard especially when not with his mom. Her abandonment of him hasn’t really helped so as we approached he decided to lay low in the grass trying to hide. He soon relaxed and as the sun peeked out from behind some clouds he raised his head to have a look around. 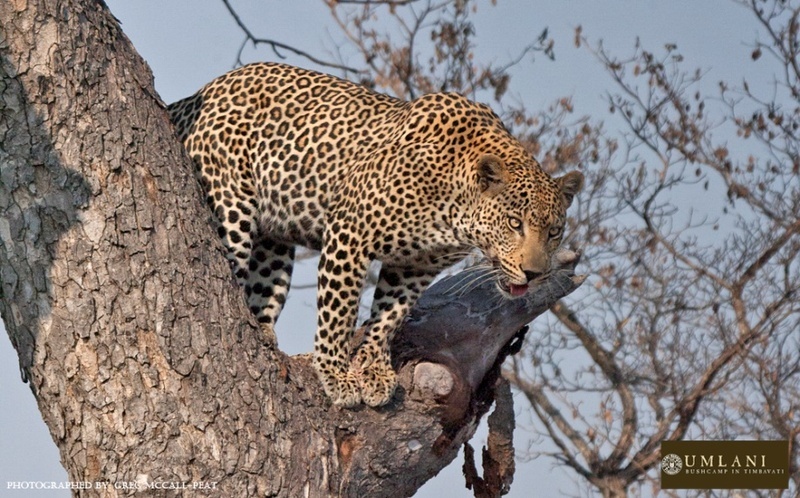 Rockfig jr killed a duiker, which she kept all to herself. She didn’t fetch Nyeleti and this will happen more and more frequently now as Nyeleti becomes independent.